Participants in the Cooking for Health demonstration pose for a group photo. Photo submitted by Annette Besnilian. 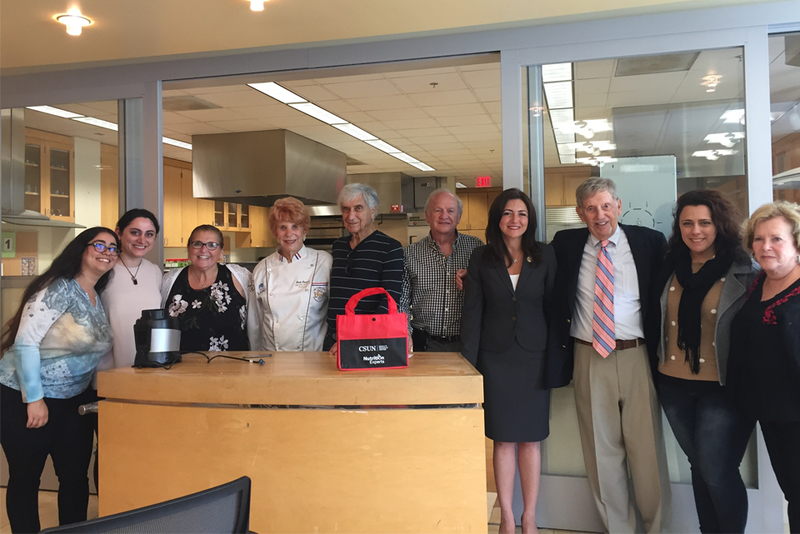 The Marilyn Magaram Center for Food Science, Nutrition and Dietetics (MMC) and the Jennifer Diamond Cancer Foundation have begun a journey together in efforts to serve the San Fernando Valley’s cancer patients. 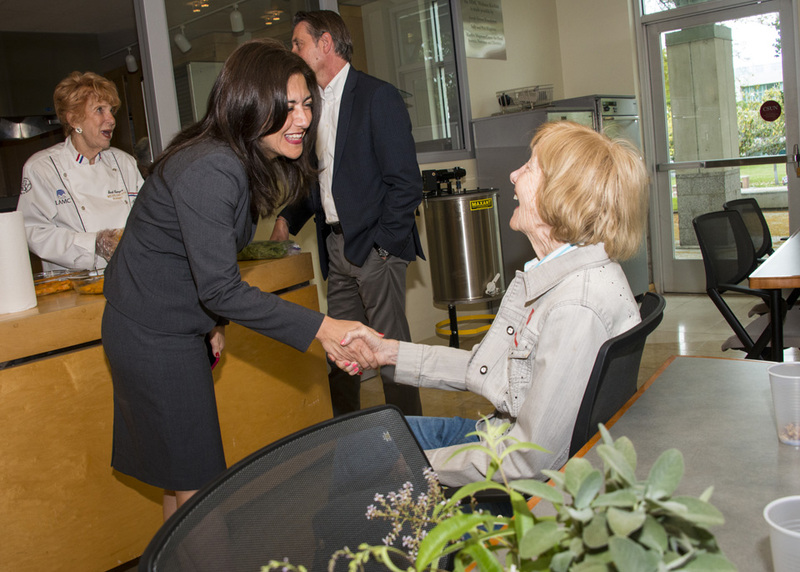 This operation helps those in cancer recovery, providing food and nutritional support workshops. Officials of the Jennifer Diamond Cancer Foundation, which offers free cancer support services and programs, said they were looking forward to having a new place to work with after losing their facility over a year and a half ago to circumstances out of their control. CSUN and the foundation will be working together on future workshops and support services that the foundation was providing previously. Matthew Diamond, the foundation’s Vice President, said he was happy to be working with the community again. Diamond noted that the number of people with cancer in the communities surrounding Northridge and Chatsworth is quite large. According to a 2010 study by Thompson-Reuters that he cited, an estimated 52,893 people are suffering from cancer in the San Fernando Valley alone. 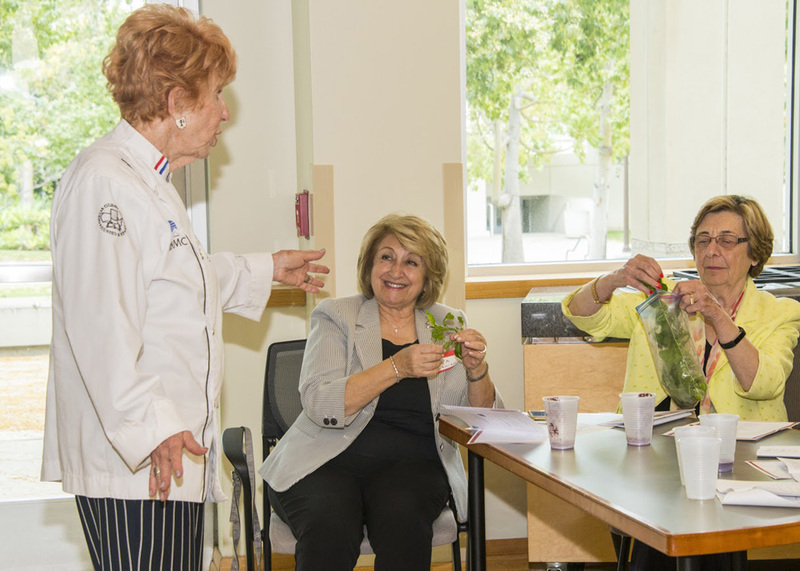 The Cooking for Health segment opened the workshop on May 31, where the two organizations teamed up at the MMC at CSUN. The community received a warm welcome by keynote speaker, author, physician and educator Dr. Jerry Kornfeld, and a chance to see cooking demonstrations by CSUN alum and associate of the cancer foundation, Sandi Lampert and graduate student and dietetic intern Shely Salemnia. MMC staff assisted with preparation and workshop. 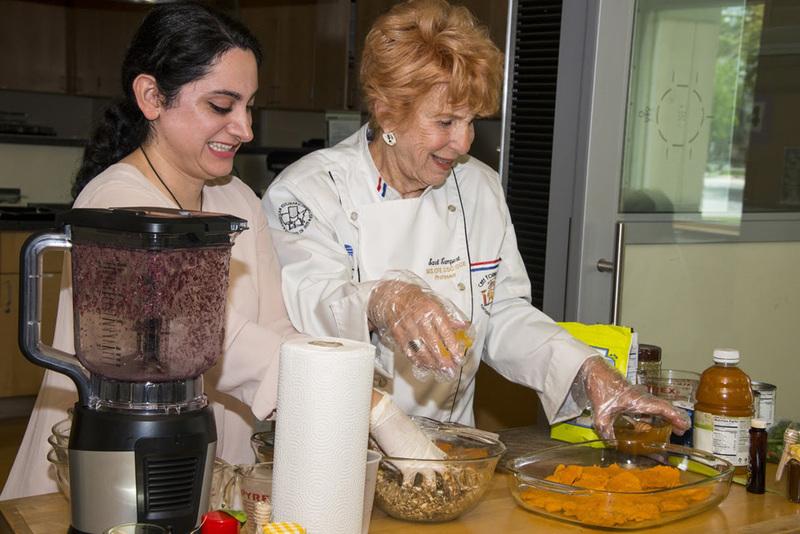 Patients and friends and family of the patients who attended the workshop got to watch a cooking demonstration and sample foods, they got to learn about new recipes to take home and take a tour of the Magaram Center’s Wellness Garden. 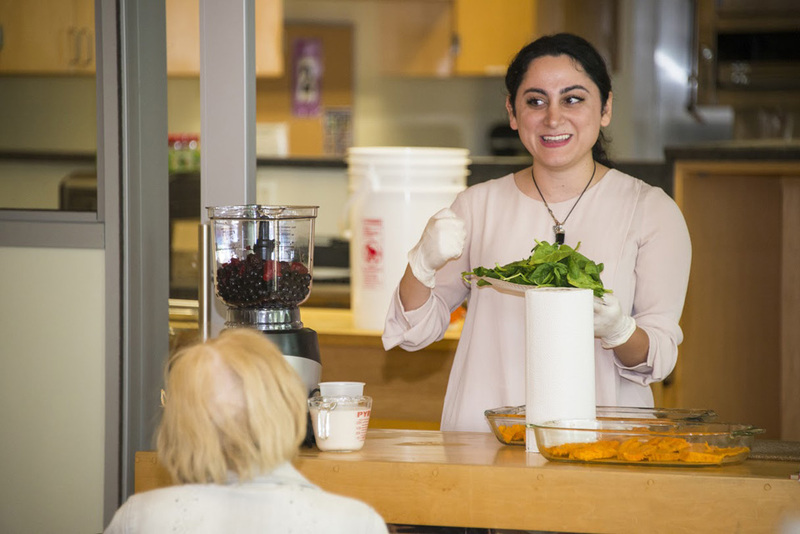 This workshop gave cancer patients the chance to learn about several nutritional habits and cooking recipes. According to Annette Besnilian, professor and executive director of the Maragam Center, the goal of this event is to provide comprehensive support services for the cancer patients in the local area. The foundation notified the patients to come to the workshop. Lampert and Salemnia gave an in-depth cooking demonstration with each meal they prepared for the workshop. Salemnia introduced the demonstration with an antioxidant berry protein shake. The two switched off between meals they prepared for the class. Lampert made flaxseed hemp balls with chocolate chips. A lot of the ingredients the two demonstrators used were organic and healthy products. 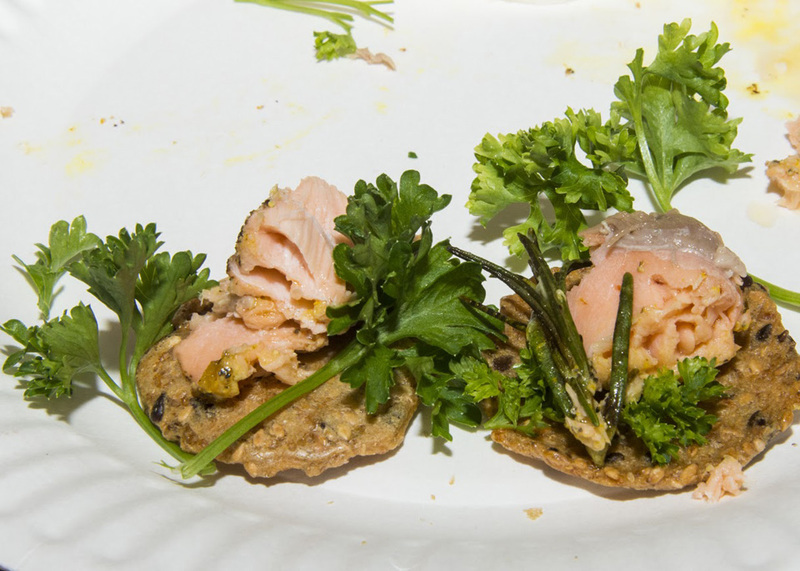 Everyone who attended the workshop was able to taste and sample the foods prepared for them. Anyone who was in the room could hear the pots and pans from the kitchen. The participants could smell the fresh ingredients. Besnilian stressed the importance of nutrition and diet to help prevent cancer. ​The collaboration can give patients and survivors the resources they need during treatment. “It is so important for cancer patients to eat healthy and obtain all the nutrients necessary,” Besnilian said. Each participant was given a pamphlet written by Salemnia​ about hands-on recipes and tips that were tailored to cancer patients and survivors. She is a dietetic intern at CSUN and must complete 1,200 hours in order to become a registered dietitian. As a part of the internship program she prepares and host events and workshops. She has a strong background in cancer nutrition. During the workshop attendees were able to sample several different healthy food options prepared and cooked by Lampert and Salemnia. They had an opportunity to participate in a question and answer from the panelists, Dr. Kornfeld, Lampert and Salemnia. 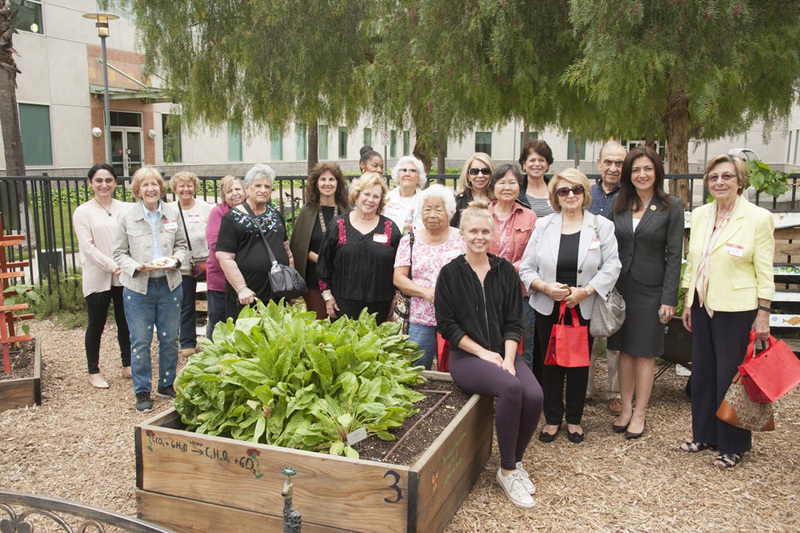 The event closed out with a tour of the MMC Wellness Garden outside of the building in the Sequoia Courtyard. The center allowed the participants to harvest their own crops from the garden and taken seedlings to plant. The patients were joyful to take home mint, tomatoes and strawberries. The participants enjoyed the event and hope to come back. 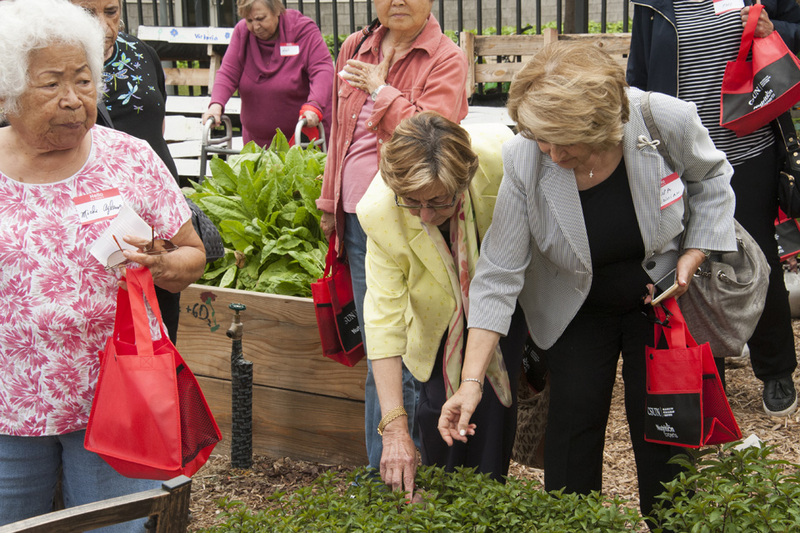 Participant Houri Aintablien stated she liked the Wellness Garden. For more information regarding the Magaram Center please visit this website here. And to learn more about the Jennifer Diamond Cancer Foundation, please visit this website here. The Marilyn Magaram Center is housed in the Department of Family and Consumer Sciences in the CSUN College of Health and Human Development.